When MoviePass announced its Netflix-for-the-cinema service back in August, observers wondered how it could possibly maintain the low $10 monthly fee for unlimited movies. On Friday, the company announced that it will be making a change to the fee. For a limited time, it’s offering annual subscriptions at about $7 per month. According to a press release the company sent to Gizmodo, the offer costs $89.95 for the year. That math doesn’t seem to come out to $6.95 per month, but the company says there’s a “$6.55 processing fee.” So, really, it’s more like $7.50 a month, but whatever. MoviePass’s new subscription launch has been both a blessing and a curse for the company. Its CEO Mitch Lowe told Gizmodo that its business plan with investor Helios & Matheson called for the company to reach 150,000 subscribers in six months. The excitement and disbelief about the service caused an influx of signups that crashed its website, and it passed that number within two days. That led to delays in getting the special credit card that customers need to use the service and it also accelerated the timeline for burning through its initial cash. According to Variety, the subscriber count has now passed 600,000. The general idea from MoviePass’s public perspective is to operate much like a typical Silicon Valley startup. It wants to demonstrate the demand for a service like this, collect customer data for paid partnerships, and convince theaters to give it a cut of the increased traffic they see. It’s a crazy gamble because it’s still paying out full ticket price to movie theaters. An average movie ticket in the US costs $8.84. In a market like New York, a ticket can easily go for twice that. This latest price change puts the monthly cost below that of a single average ticket. In order to continue this test phase in which a lot of factors have to come together, Helios & Matheson announced that it was raising another $100 million in investment last month. 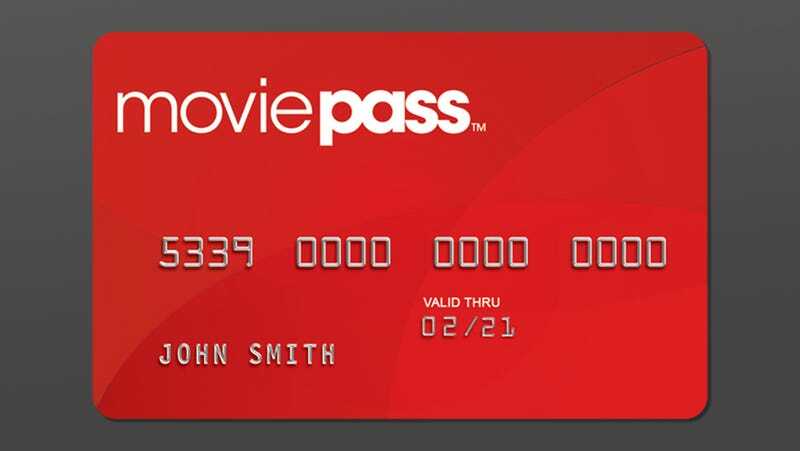 Some critics, like the AMC Theatre chain, fear that MoviePass is only going to depress the value of a ticket in the mind of the consumer. Of course, with a lower price, and the 2017 holiday gift-giving season here, MoviePass could pick up enough subscribers to start feeling like a necessity. Netflix, after all, faced plenty of resistance from Hollywood when it was first getting off the ground. According to Bloomberg, the company wants to go public in March of 2018, so sprinting towards viability seems like the only option. For now, just enjoy the fact that you can grab a really cheap deal on movie tickets. It won’t last forever.